The provincial and federal governments have long promised to do a better job protecting boreal caribou herds. EDMONTON — Alberta is backing away from selling more energy leases on caribou ranges as the province's new government grapples with saving the threatened herds while still allowing for energy development. Some 24 square kilometres of caribou range was removed from an auction sale of exploration leases held this week. And no caribou range is contained in leases to be offered for sale next month. That's highly unusual, say wildlife advocates. 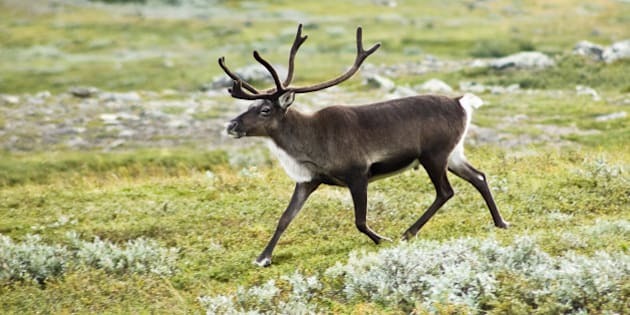 The provincial and federal governments have long promised to do a better job protecting boreal caribou herds. Federal scientists have said the herds should be considered endangered, the most serious risk assessment available under Canadian law. Decades of energy and forestry development in their habitat — old-growth boreal forest — have reduced overall numbers by 60 per cent. Some herds number only a few dozen. Some herds live on habitat that is more than 80 per cent disturbed, despite scientific recommendations that such disruptions should be limited to 35 per cent. Alberta has come under increasing criticism in recent years for continuing to sell exploration leases on sections of undisturbed habitat. Such sales come with strict conditions, but critics say if they made a difference, the population wouldn't still be so precarious. The previous Tory government declared moratoriums on new lease sales in some areas and delays in others. Hartle said the NDP government's move shouldn't be seen as a total ban on new leases in caribou range. Range plans are being developed that will outline how development will proceed on land the herds need to survive, Hartle said. Under federal legislation, those plans for the entire province must be in place by the end of 2017. Range plans for four herds, including Little Smoky-a la Peche and the Redrock-Prairie Creek caribou, are expected in the spring. A plan for the Little Smoky herd is already more than a year overdue. Range plans for some other herds are already long overdue, some by almost two years. Carolyn Campbell of the Alberta Wilderness Association said removing habitat from this week's sales was good news. "It sounds as though they're serious about developing range plans and they also recognize that land sales just make the problem worse,'' she said.